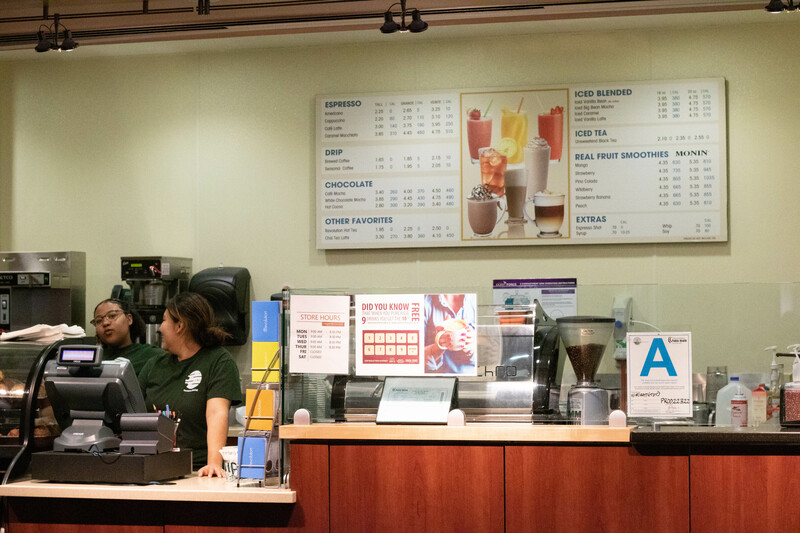 ining choices in the Loker Student Union will look much different come the fall semester, but Starbucks won’t be one of them, as it is going to replace Green Mountain Coffee in the library in order to be close to the soon-to-be established Student Success Hub. Starbucks is one of three new options on the campus, joining the Green Olive, which is expected to open by the end of February, and Shake Smart, which, like Starbucks, should be open by the end of the fall semester. The Green Olive, a Mediterranean eatery, was supposed to open in September, 2018, but the process has been slower than expected, said Olympia Woods, marketing and innovating project coordinator for Campus Dining, due to getting final approvals on construction from the state fire marshal. Starbucks was originally set to replace Jamba Juice in the LSU. However, with organizations such as the Male Success Alliance and the Women’s Resource Center moving to the third and fourth floors of the Library this semester, the decision was made to put Starbucks closer to that activity. Green Mountain worker Sandra Herrera, a human services major, says a Starbucks will be harder to work for based on her experience working for both companies. Herrera also said she doesn’t doubt the arrival of a Starbucks will bring increased foot traffic. Woods said the Campus Dining team have thought about solutions to eliminate the anticipated longer lines a Starbucks may bring. Since the location for Starbucks will be more convenient for students in the library, Woods and her team found another possible alternative to replace Jamba Juice: Shake Smart. According to Inc.com, Kevin Gefland and Martin Reiman, two San Diego State University students, launched Shake Smart in 2011 because they saw a need for affordable healthy food on campus. The menu consists of protein shakes, acai bowls, and wraps ranging from $3-$7 that you can build yourself and customize as vegan or gluten-free. Shake Smart is only available in 13 locations including SDSU and California State University, Northridge. CSUDH will be the 14th location in fall 2019.